Spider-Man has been one of Marvel’s favorite superheroes since his introduction in the 1960s, but Peter Parker isn’t the only one to get spider-powers. There are plenty of heroes (and villains) who have also been able to crawl on walls and spin webs. We’re taking a look at those heroes and heroines here - from the ones who have had decades to get the job right to the “what ifs” of comics, we’ve got 20+ Marvel Superheroes Who Have Had Spider Powers. We aren’t talking those who use technology that was inspired by spiders, like Earth-616 Black Widow and her stingers, mind you, but actual powers that individuals have seen develop genetically. There are dozens of heroes and villains alike who have had some form of spider-related abilities, but they aren’t all going to show up on this list. 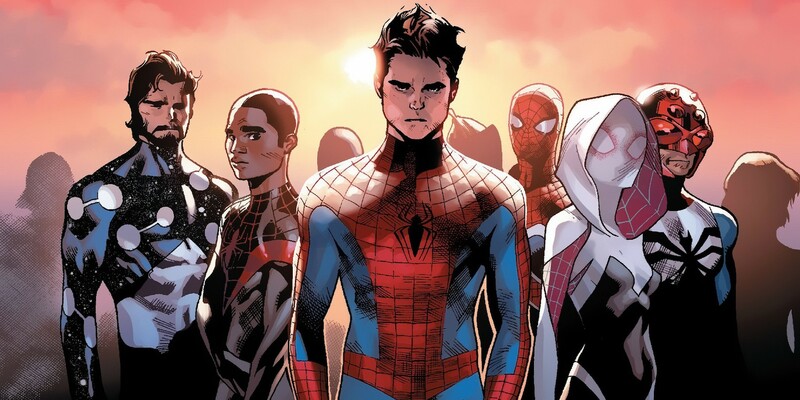 You won’t find every Peter Parker who exists in the multiverse for example, but you will find many of the other guys who have taken on the mantle of Spider-Man, including a few clones. You also won’t find any villains on this list, either -- unless they reformed and fought against the bad guys for an extended length of time. Without further ado, here are the most interesting spider-powered individuals across Marvel comics. No, this Tarantula isn’t the villain that’s had several different characters take up the mantle. 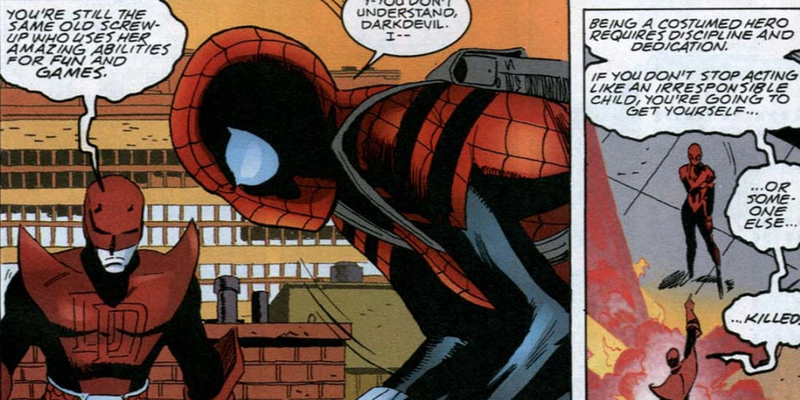 Instead, this is a hero who appeared in the Ultimate Spider-Man universe. Tarantula was actually a clone of Peter Parker who had multiple arms and a set of fangs that housed his own special venom. He wasn’t heroic on his own either, but was the product of a lab experiment and set to work by the FBI. Tarantula leads off our list because, despite having multiple limbs, wall-crawling, night vision, and spider-sense abilities, he didn’t last long. He helped save Mary Jane after escaping from the facility that housed him, but lost his life in a battle with Otto Octavius, only making it through three comic book issues in all. 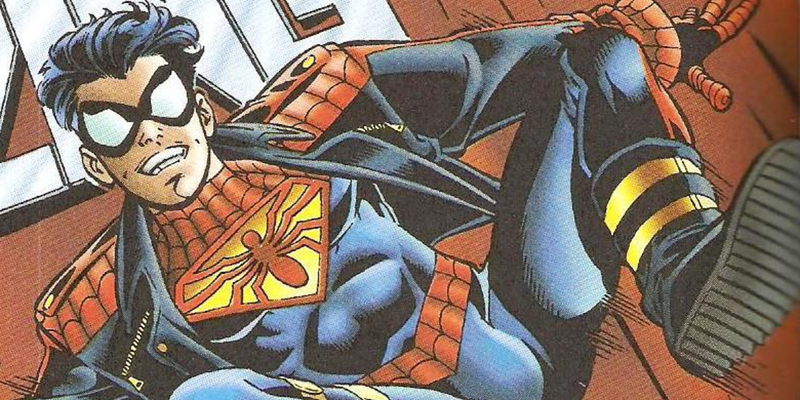 In the Amalgam Universe, the traits of Spider-Man and Superboy were combined to create Peter Ross. His creation was the result of a Cadmus lab accident caused by Peter Parker, and General Thunderbolt Ross adopted him. He decided to become a hero when his “Uncle Gen” was killed. While this Peter has a lot of familiar spider-powers, he can’t shoot his own webs. Instead, he has a web gun he employs. He can manipulate his own gravity though, which is why he can still climb walls. He can also redirect his gravitational field to increase his own strength or enable himself to make huge leaps. Spider-Boy became an agent for Cadmus, but for a lot of readers, he was just a marketing trick to sell comic books. And a super goofy looking one at that. Max Borne is a very different kind of Spider-Man than what most comic book readers are used to. Debuting in the comics in 1995, he had the strength and agility of Peter Parker’s Spider-Man, but most of his abilities were actually the result of mechanical upgrades. His specialized suit had additional mechanical arms, guided and electrified webbing, and it was even bullet proof. He also had plenty of extra gadgets that aided him in making sure there were no timeline anomalies, as his job was actually to ensure that no one crossed over into timelines where they didn’t belong, something his own daughter didn’t agree with. His daughter was his timeline’s Hobgoblin, and she ended up erased from existence thanks to one of their fights! Marvel has a fun line of comics called, very aptly, What If? These stories reimagine the events of the Marvel universe if one specific thing had been changed. 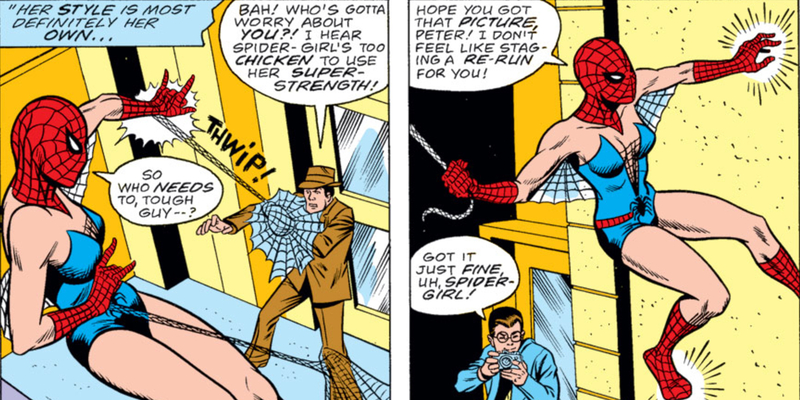 In this case, reporter Betty Brant was bitten by a radioactive spider at an exhibit instead of high school student Peter Parker. Of course, Peter was still involved in the storyline, as he would be the one to convince her to use her abilities and allow him to photograph her, helping both of them make a little extra cash off her newfound powers, which included wall-climbing, web-slinging, super agility, and spider senses. In this world, it was Betty who ignored an escaping burglar who went on to kill Uncle Ben. Instead of the experience making her want to do more, like it does for Peter in the original continuity, she abandons heroics altogether. Combined with a ridiculous outfit, Betty Brant made for a pretty poor web-slinger anyway. 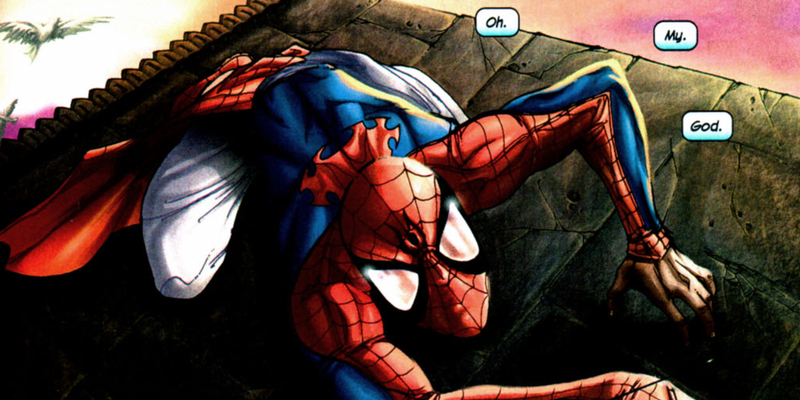 Aaron Aikman’s time as Spider-Man was a tragic one. He lost his girlfriend and her daughter turned out to be his nemesis! Aikman was a scientist who experimented with genetically resequencing his own DNA with that of a spider. He also created his own cybernetically enhanced Spider-Armor and a neuro-pulse stinger attached to his belt to incapacitate his enemies. Aikman had some pretty great gear, but it’s too bad he didn’t last long. His girlfriend’s daughter was possessed by an evil entity from another dimension, and just when the reveal was made that she was the enemy he’d been fighting, he ended up getting killed by someone else! Not to mention the fact that after his death, his entire dimension was wiped out of existence. We can’t be the only ones hoping this guy makes it back into another Spider-story one day! There exists a Marvel comic book reality where Peter Parker never became Spider-Man because he was too busy suffering the effects of gamma radiation as the Hulk. Instead, while Bruce Banner was experimenting and trying to find a way to help Peter, he ended up with the radioactive spider bite. Bruce ended up in S.H.I.E.L.D. custody in therapy and under heavy medication in order to help his system cope with the bite. 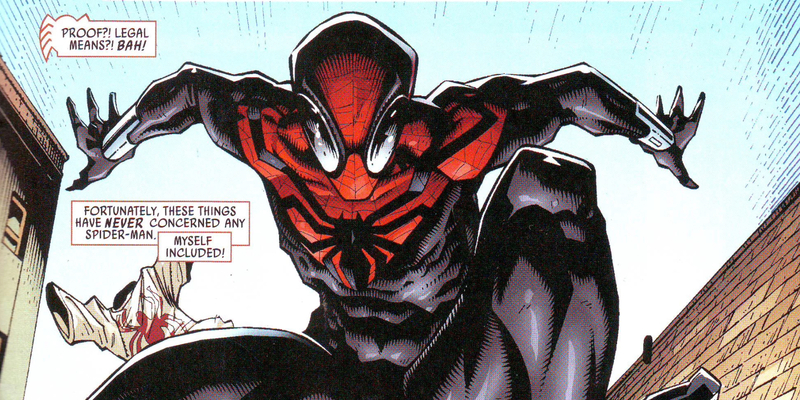 In time, though, he was able to train and become an active member of the organization and the Spider-Army. Unfortunately for Bruce, he ended up seeing his spine snapped, dying at the hands of Kaine during a confrontation. His death allowed his teammates to escape to a new world, though, so...there's that. Reilly Tyne is a pretty interesting character, since he doesn’t just have Spider-powers, but also a few special abilities. Tyne is the son of one of the many clones of Peter Parker, but thanks to rapid cellular degeneration, he didn’t get to enjoy his agility, super strength, and spider-sense much. After an encounter with a demon that had already possessed Daredevil, Reilly was saved, but at a steep cost, as he retained many of the demon’s traits - like horns, yellow eyes, and red skin. Not the best look for a good guy. In addition to his spider-powers, Reilly also gained the ability to teleport and summon fire, as well as disguise his demon-like appearance. He also interned under Matt Murdock while in law school, so he’s a pretty well-rounded hero despite his appearance. Nell Ruggles was not a good person. As a high school student, she was bullied and constantly fantasized about killing her classmates. How does she end up on a list of superheroes? Because she was forced into doing the right thing. Nell came into contact with a mysterious piece of technology that gave her an equally mysterious set of abilities. During her run in the Squadron Supreme comics, we see her use super strength, agility, and above average speed, but she can also spin webs that look a little more like mucus and a little less like thread. Yum. After a run of vengeance and crime, she was forced into working for S.H.I.E.L.D. as one of the good guys. Eventually, she started making friends and trying to do the right thing, though she still wasn’t the squeaky-clean-hero-type. Anna-May Parker, affectionately called Annie by Peter and Mary-Jane, is the result of the Secret Wars storyline that created Battleworld. An eight-year-old when most readers were introduced to her, Annie had many of her father’s same abilities, but they were hidden from the bad guys by an inhibitor chip. It wasn’t until her own father was in trouble that Annie decided to use her powers to take on the villains around her and save him. Even though she was a child, she was able to dispatch villains faster than most adult heroes you'll come across in comics. She’s gone through a few name changes in the two years she’s been in the comics, but for now, she’s Spiderling, complete with her own costume, and she’s even got some precognitive abilities in addition to the gifts she inherited from her father. One of the longest running heroes with Spider-powers next to Peter Parker himself, Ben Reilly debuted as a clone in 1975. Over the years, he’s been an ally, he’s taken on the name of Spider-Man, and he’s gone bad. Because he’s a clone of Peter, the two share all of the same abilities. Ben, who didn’t have his own name at first, named himself after his Uncle Ben and Aunt May, furthering his connection to his genetic donor. Ben was, for many years, the most successful of the Spider-Clones, so why doesn’t he land higher on the list? His hero status is debatable. Ben went from being Scarlet Spider and saving people’s lives to running his own company that traded in cloning, intent on changing the world, and becoming a villain as his power grew. He might still be redeemed, though -- perhaps even on the big screen. The son of Jessica Drew's Spider-Woman in an alternate timeline, Gerry Drew found himself in trouble -- his mother’s abilities had actually made him sick in the womb. Jessica tried to cure her son the same way she was cured of radiation poisoning, and while the experimental treatment did activate his own abilities, his sickness persisted, and got worse when using his powers. 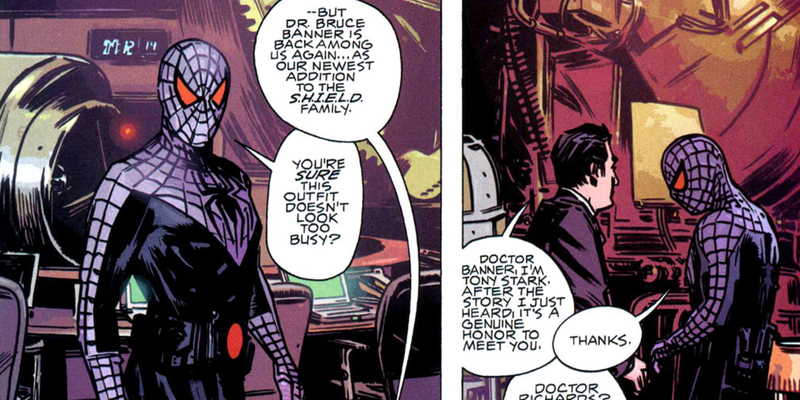 Gerry still wanted to help people, though, so he modeled his own spider-suit after that of Peter Parker’s. Gerry had a lot of the same abilities as his mother and Peter, though he was stronger than them both. He actually had to pull his punches in fights to make sure he didn’t kill anyone with a single blow. Eventually, Jessica was able to find a treatment that worked for him, and Gerry went back to being a normal kid after a fairly uneventful heroic run. Before he was Spider-UK, William Braddock was making an attempt at becoming his world’s Captain Britain, his costume combining the look of Cap and Spider-Man. William shares all of the abilities of the Peter Parker version of Spider-Man, except for one -- he doesn’t have any spider-sense, so he has to rely on his own judgment. He was a big part of the Spider-Verse storyline that involved dimension hopping and searching for Spider-Totems, becoming the protector of all Spiders. He was given an artifact that allowed him to travel through the multiverse to save those in trouble. His travels united him with Anya Corazon, one dimension’s Gwen Stacy, and several other Spider-heroes. Together, they became the Warriors of the Great Web, making it their responsibility to stop villains from eliminating Spider-heroes across realities, even if their own was destroyed. Natalia made her comic book debut in an issue of Mutant-X more than 15 years ago, but she’s only appeared in a handful of issues. What we know about her is that she’s got similar strength and agility to other heroes with spider-powers, and she’s got her own web shooters. 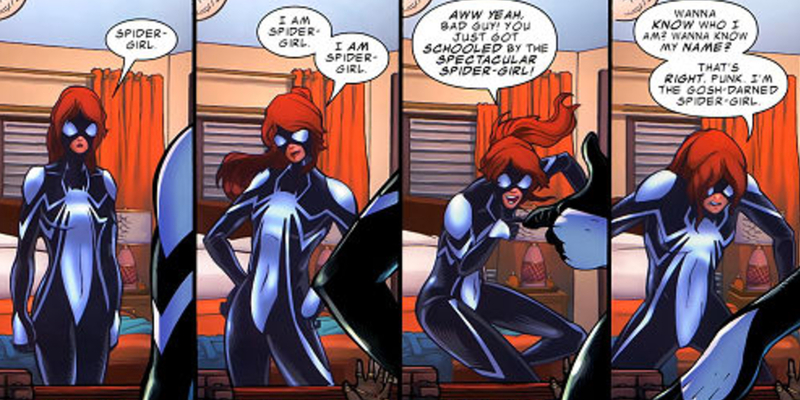 While her costume even echoes that of her 616 counterpart, she’s got bits of webbing in it to differentiate her. In her reality, she actually helped the other Avengers defeat Captain America when he became too powerful! Pavitr Prabhakar was his world’s version of Spider-Man, though he wasn’t from New York, but from a small village in India. 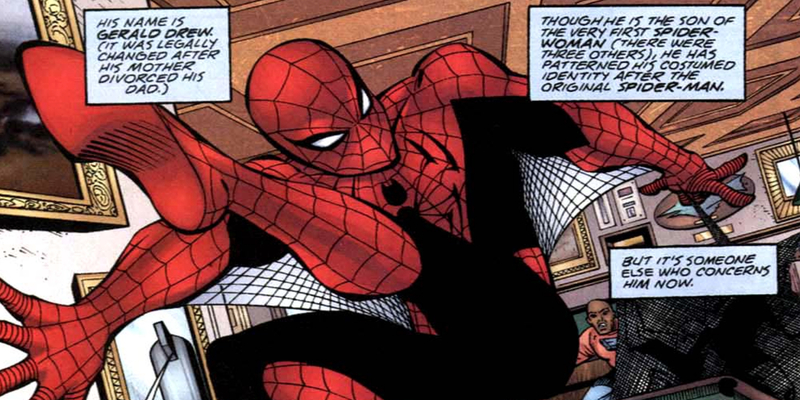 Pavitr’s story allowed the writers to explore what it means to be an alternate universe Spider-Man. He was raised by his uncle Bihm and aunt Maya, had a crush on a girl named Meera Jain, and battled his own version of Doctor Octopus. 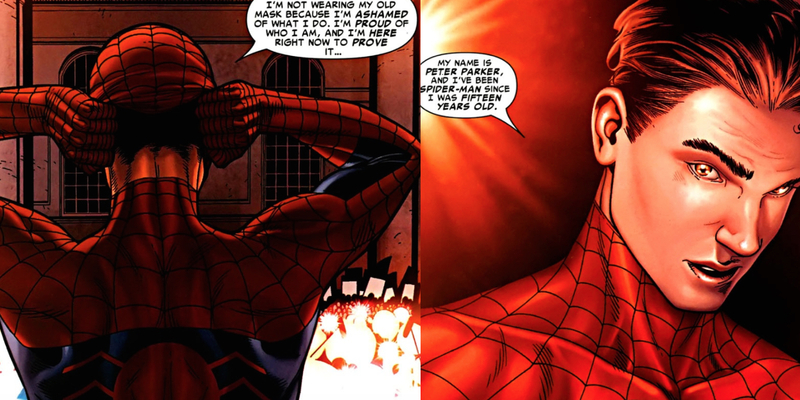 When he learned about the existence of other Spider-heroes, especially Peter Parker, he questioned everything he knew about his own existence and whether he was as valuable. It was Spider-UK who assured him that every wall-crawling hero was valuable and unique. Pavitr went on to become, just like Spider-UK, a member of the Warriors of the Great Web, as he found his place in the multiverse. He made it his duty to help protect Spider-heroes across all realities. Peter Parker isn’t the only one who has a few clones running around. His daughter May was also cloned, and that clone became April Parker. April, referred to as “New May” in the comics until she gave herself a name, was created in Norman Osborn’s lab. When she broke free, she first stalked her genetic inspiration at school, and after a weird battle amongst the consciousnesses of Peter, May, her clone, Norman Osborn, and a symbiote that bonded with them, April chose her name and the Parkers made her family. She and May had most of the same abilities, but April was willing to do something that May wouldn’t: use lethal force in a fight. April worked as Spider-Girl once in a while before coming into her own as Mayhem, though her jealousy of May led to more chaotic vigilantism. Miguel had the typical Spider-powers, but he also had a few interesting additions. In addition to talons, he also had fangs that carried a paralytic (but ultimately, non toxic) venom. He was also able to move so quickly that he could leave a “decoy” behind for his enemies to fight, almost like he was in two places at once. In a fun nod to the Mexican heritage of the character, Miguel also used an old Day of the Dead outfit to create his Spider-Man costume. 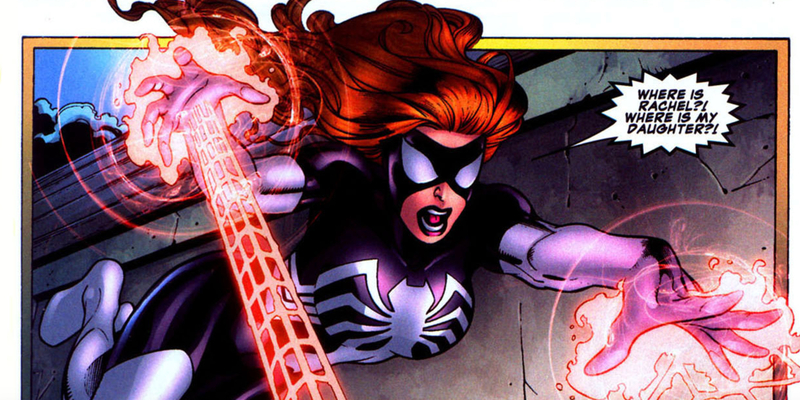 Mattie didn’t get her abilities through a spider bite or a botched experiment like so many others in the Marvel world. Instead, hers came from taking the place of her father in an ancient ritual where she was given the gift of power, which manifested in a cool way. Ending up with super speed, stamina, strength, durability, reflexes, and agility, in addition to flight and abilities she picked up from Jessica Drew, Mattie was a formidable opponent. She tended to get herself into sticky situations, though, like ending up being harvested for Mutant Growth Hormone by her own boyfriend! 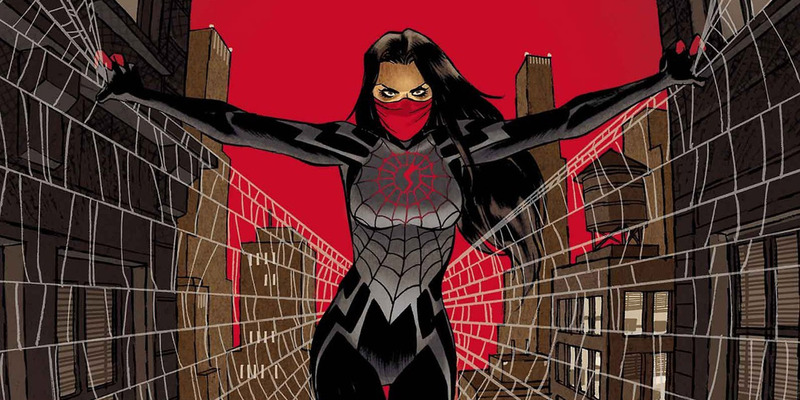 Mattie had plenty of adventures, and even died and was brought back to life, but ultimately sacrificed herself to save another spider-themed heroine, Silk, who will appear a little higher on the list. 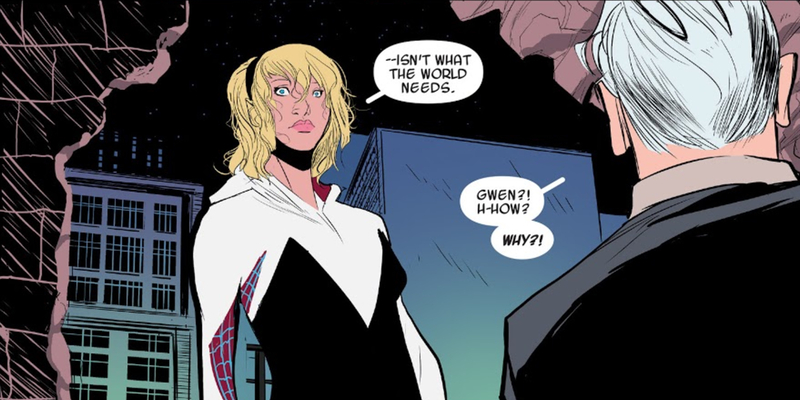 In the prime Marvel universe, Gwen Stacy lost her life, but in another, it was Gwen, not Peter, who got the spider bite and the powers it held. With all her new abilities, Gwen saved lives and relished the glory of it all -- until her police officer father made her realize that this Spider-Woman could be doing more to help people than just take up the spotlight. She joined the multi-dimensional Warriors of the Great Web and had her secret identity revealed to her own father at one point, but after all her adventures, she returned to her own Earth to fight evil. As is pointed out by other characters, Gwen doesn’t exactly have proper fighting form. She learned most of her moves from movies, so she can’t actually throw a proper punch. When you have spider-powers, though, do you even need proper form? Once a high school bully and rival of Peter Parker, Eugene “Flash” Thompson eventually became friends with him in college and ended up joining the military. 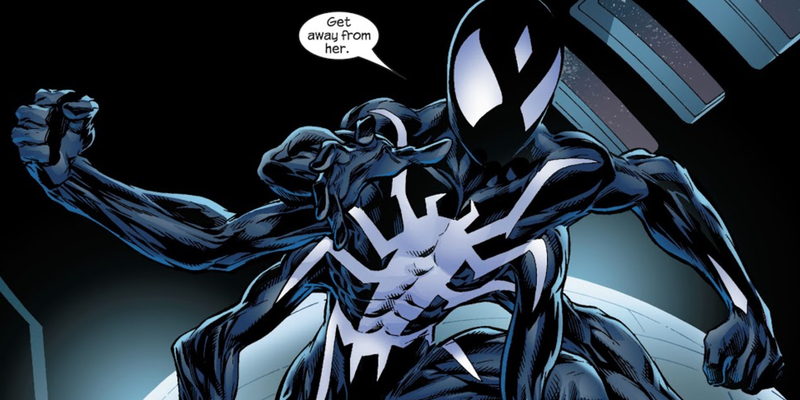 Thanks to Project: Rebirth, he became one of the many characters to bond with the Venom Symbiote. Those who bond with the Venom Symbiote tend to vary in their degrees of heroism. Sometimes, Venom isn’t heroic, while others, he can be the one leading the charge to save the day. 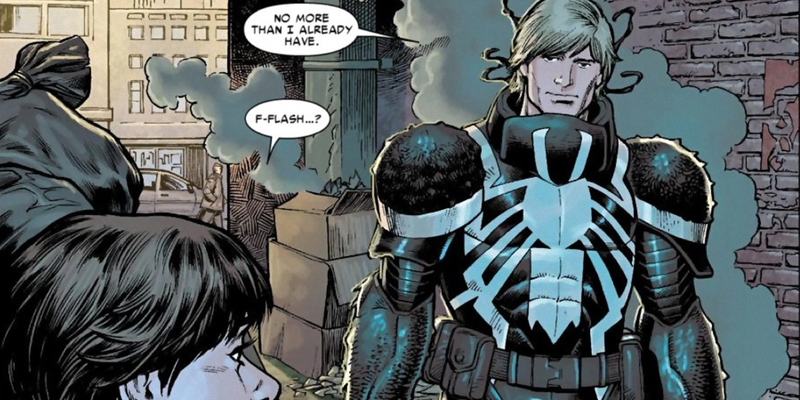 In the case of Flash’s Agent Venom, he worked for the government, taking on secret missions. Over the years, Flash has gone through plenty of teams as Venom. In addition to working for the government, he discovered how to find a cure for the afflicted on Spider Island, joined the Secret Avengers, spent time with the Thunderbolts, and even joined the Guardians of the Galaxy. The daughter of scientists, Jessica grew up with uranium poisoning. Her life was saved when her father experimented with the genetic material of rare spiders in order to find a cure for her, but she was placed in stasis for her own safety, and when she emerged, it was in a whole new world. As an adult, Jessica’s parents were gone, and she had Spider-powers like super hearing, venom blasts, and pheromone secretion that made people afraid of her. She ended up turning to Hydra, training to be an agent after they recruited her, but ultimately, she turned on them and became her own person, working for S.H.I.E.L.D. before striking out on her own. These days, she’s balancing being a mom with superheroics and private detective work. Otto Octavius AKA Doctor Octopus is one of the best known villains in the Spider-Man mythology, so how does he end up so high on a list of heroes? 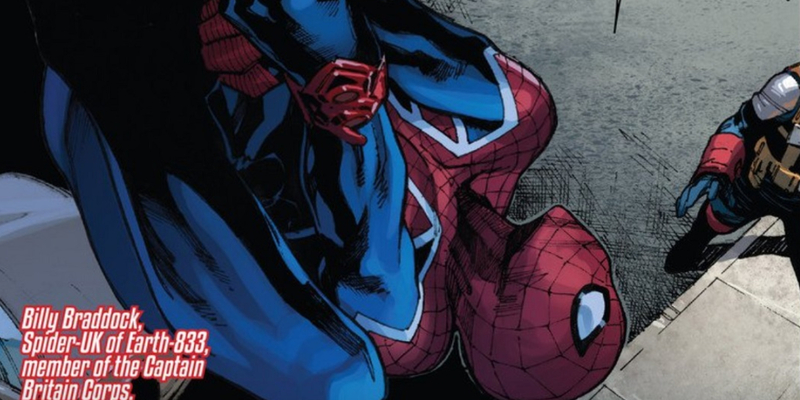 He once swapped minds with Peter Parker and became the Superior Spider-Man. When he knew he was dying on the Raft (a prison in the middle of the ocean), he used an advanced piece of technology to swap his mind with Peter’s. Doc Ock even had access to Peter’s memories after he did it. 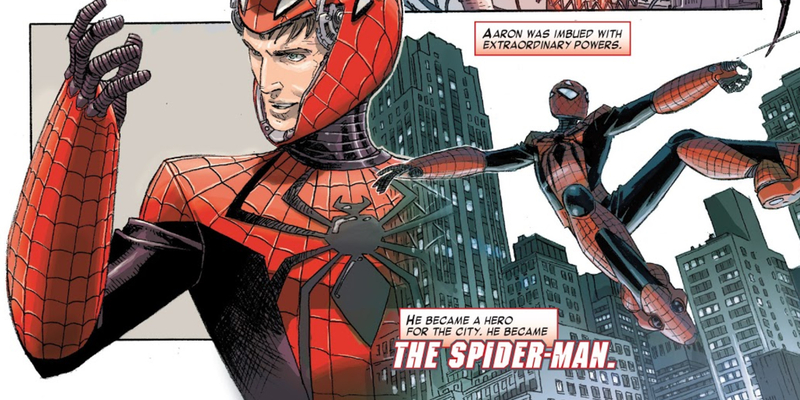 After battling in each other’s bodies and Peter seemingly dying, Otto decided to make himself the superior Spider-Man and become a better man. Otto spent his time as Spider-Man taking a more violent approach to heroics, breaking bones and even killing his foes without remorse, but he was definitely an effective Spider-Man. Eventually, he decided he couldn’t be the hero Peter was, and gave control of his body back to the original web-head. After signing up for what she thought was a simple athletic study, an experiment left the young Julia Carpenter with many of the same powers as Spider-Man. 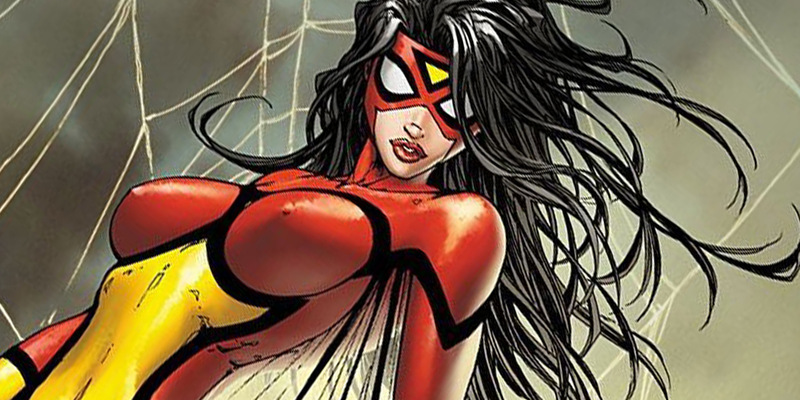 She became Spider-Woman and worked for the government for several years. 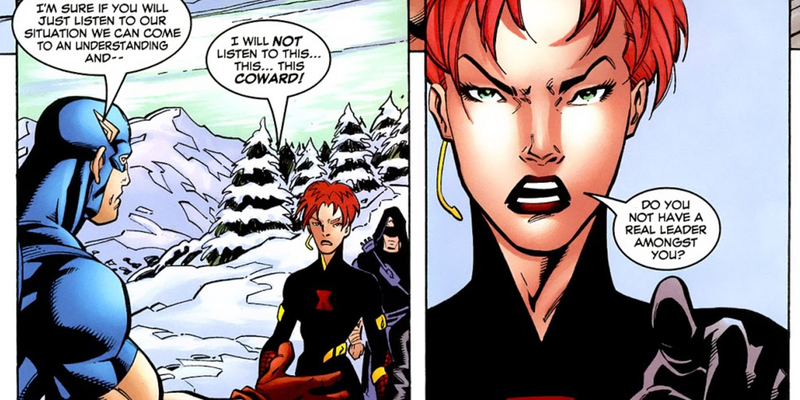 Julia’s ideals frequently brought her into conflict with her employers though, and she struck out on her own, sometimes teaming up with different Avengers teams, acting as a double agent and helping heroes who wanted to remain hidden during the Superhero Registration Act, becoming a freelance hero named Arachne in the process. After years of helping out other heroes, the powers of Madame Web were passed on to Julia. She was blinded by the abilities, but she gained teleportation, astral projection, and telepathy as a result. With her new responsibility looking after other Spider-heroes, she passed her costume on to Anya Corazon (who's still to come on our list). 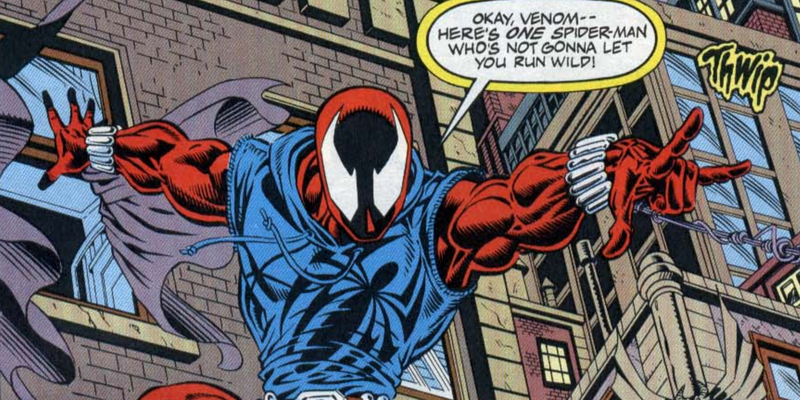 Like Ben Reilly, this Scarlet Spider was also a clone of Peter Parker. Unlike his fellow duplicate, however, Kaine gets a lot of love from comic book fans. 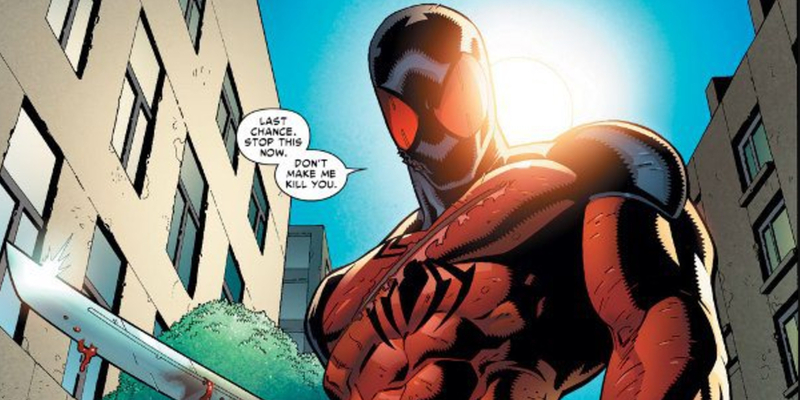 In addition to having the same abilities as Peter, Kaine being genetically manipulated by the Jackal during testing also left him with some precognition (he gets brief flashes of the future), as well as the Mark of Kaine -- the ability to physically corrode someone’s skin just by touching them. 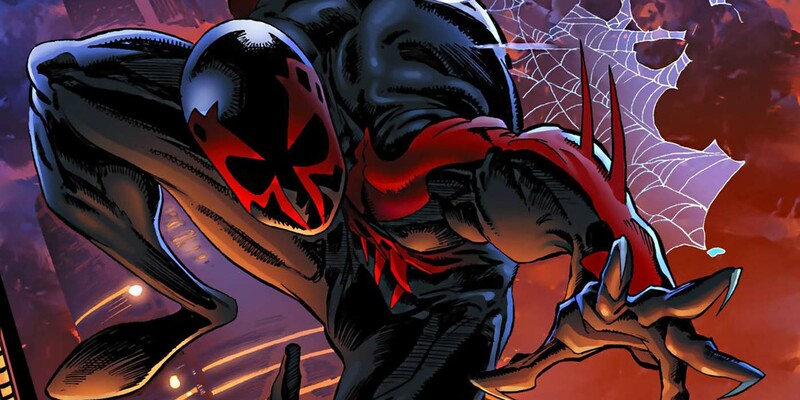 For a long time, Kaine stalked both Ben and Peter, committing crimes and framing the latter for them, though the former took the fall at one point. Eventually, Kaine let go of the hate he felt for his “brothers,” and became a costumed hero, making Houston, Texas his home base. Most recently, he’s returned to the Spider-fold in the “Clone Conspiracy” storylines as one of the good guys. A seemingly normal girl who had her powers activated thanks to a sorcerer in a mystical society, Anya is one of the most modern heroes on the list. Villains have tracked her thanks to her Twitter account in the past, and social media has been used to draw her out for journalists. When Anya appears in a comic book, you know the writers are going to put a modern twist on the classic superhero tropes. 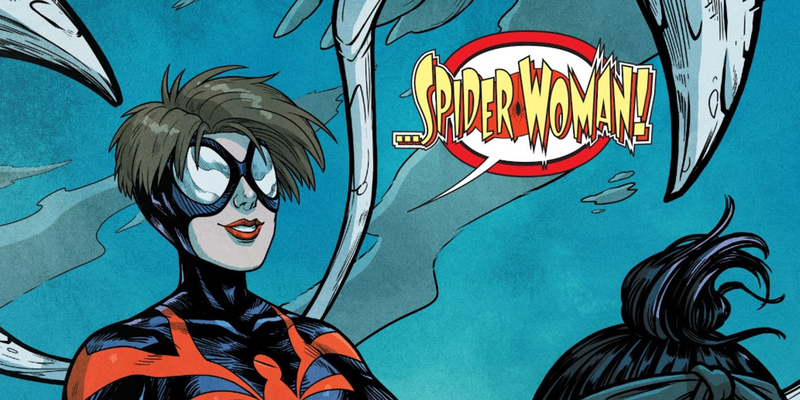 Anya started her time as a hero being called Araña, but thanks to many people mistakenly referring to her as Spider-Girl, the new name has stuck. The daughter of an investigative reporter, Anya is even stealthier than your average Spider, able to blend into the shadows seamlessly and silently. She’s also got some non-Spider skills that come in handy: she’s fluent in Spanish and she’s a proficient hacker. It was Peter himself who released her from the bunker, as the enemy searching for her was dead, though it turned out he had come back to life (it's a comic book; of course he wasn't really dead) -- all of which led to Silk becoming one of the many Spider-heroes to travel across the multiverse with those who would become the Warriors of the Great Web. Though they were bit by the same spider, Cindy isn’t quite as strong as Peter. She makes up for it with more agility, claws made from the web spun on her fingertips, and a spider-sense that’s more sensitive than any comic book character we've seen so far. 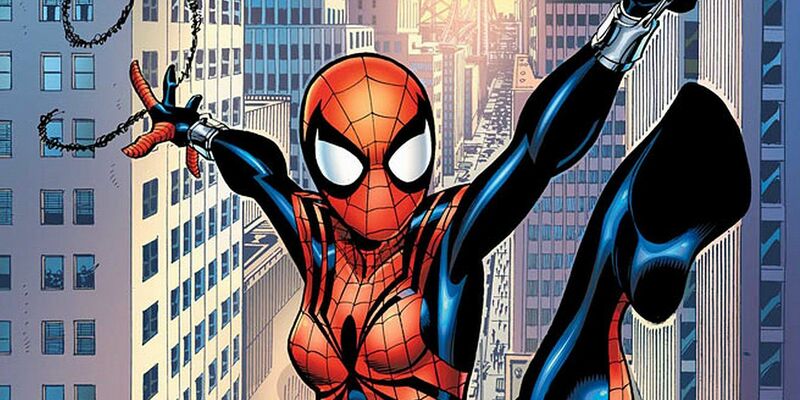 Mayday Parker lands so high because, like Peter, she was originally introduced as a one-off character in a short comic story, and fans clamored for more. 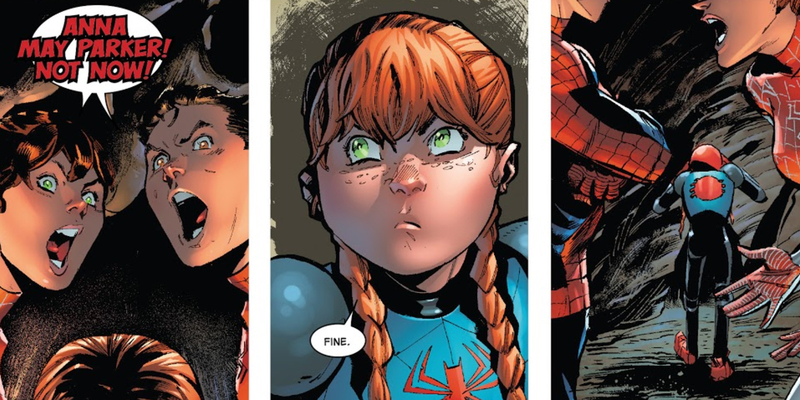 In an alternate future, Peter and Mary Jane had a daughter named May who was kidnapped as an infant. When they got her back, Peter lost his leg and retired from his time as Spider-Man, and he hoped his daughter would turn out to be a normal kid. 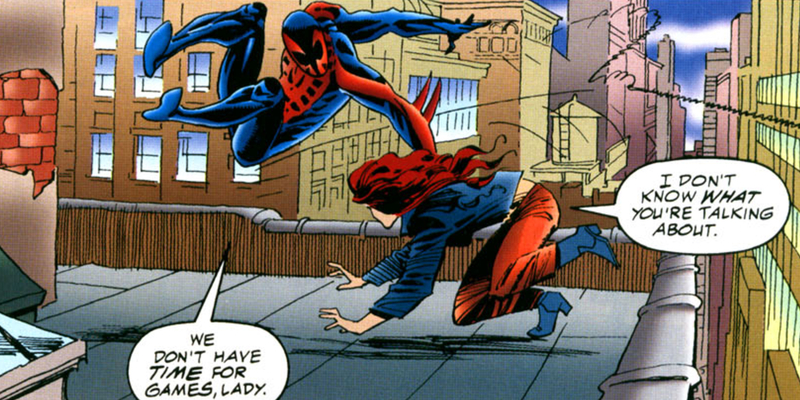 Not-so-surprisingly, May eventually developed her own powers at 15, and she used Ben Reilly’s old costume to start fighting crime. As she grew into a hero, her name changed over the years, though she preferred to be called Spider-Woman. Just as May shares her father’s abilities, she also has a clone of her own. 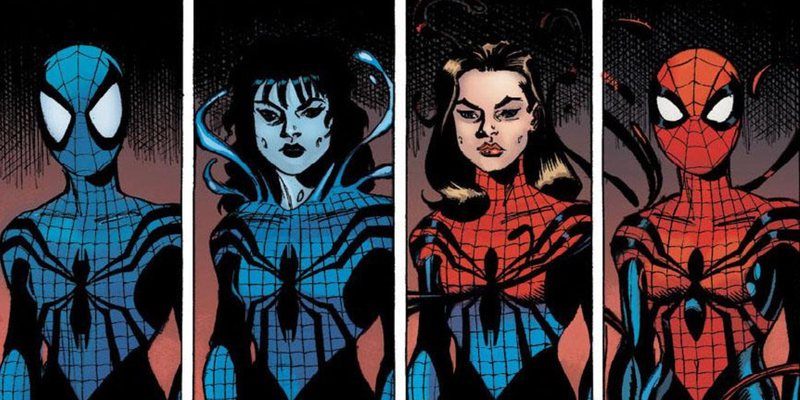 Like the Peter of the prime Marvel universe, May learned to work with her clone, even living with her as family. The Spider-verse is a complicated one. 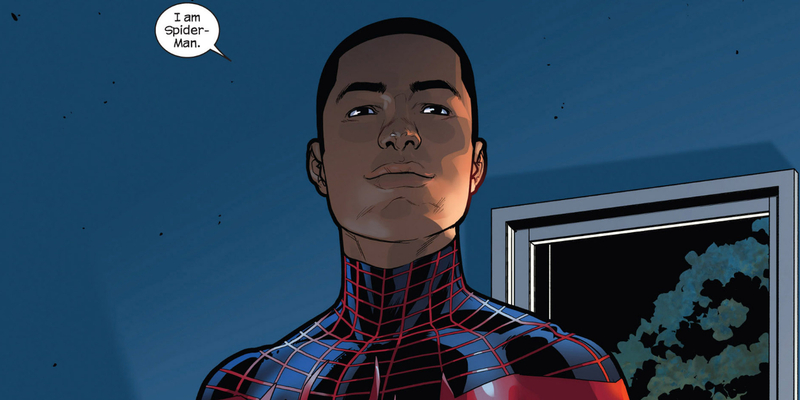 Quite possibly one of the most popular Spider-heroes of all time since his debut just six years ago, Miles Morales was introduced as the Ultimate version of Spider-Man after Peter Parker was killed in that universe. Miles came from a family that housed its fair share of criminals, making some of his fights even more personal than others, and it was one of those criminals who allowed him to become Spider-Man. His uncle Aaron (better known as the Prowler) stole from Osborn Industries, and a spider hitched a ride that would later bite Miles. As fun as it would have been to kickstart an internet firestorm and have someone else take the top spot, no one else could possibly out-spider the original Spider-Man. Peter Parker has 55 years of history behind him. As the longest running spider-powered character in the Marvel universe, he's also one of the most popular superheroes ever created. The usual spider-powers -- agility, strength, speed, endurance, accelerated healing, web-shooting, and wall-crawling -- originate with Peter. Most spider-heroes have some variation of his abilities with a few minor changes, but it’s Peter who was the first to have a spider-sense to warn of impending danger. The only heroes who have that are those with genetic similarities to him, like his clones, his kids, or Silk, who was bitten by the same spider. Peter began his time in comics as a high school student just trying to figure things out, but fans have watched him grow into an Avenger, a businessman, a father, and seen how his life changes in many different realities. After 50 years of clones, conspiracies, brutal injuries, deaths, and resurrections, no one else could ever hope to top Peter Parker. With so many characters in Marvel Comics with spider-themed abilities running around, there’s sure to be several missing from this list. Did we leave your favorite out? Who do you think deserves a top spot? Let us know in the comments!